Make way for the new Kiwi Pie Design! 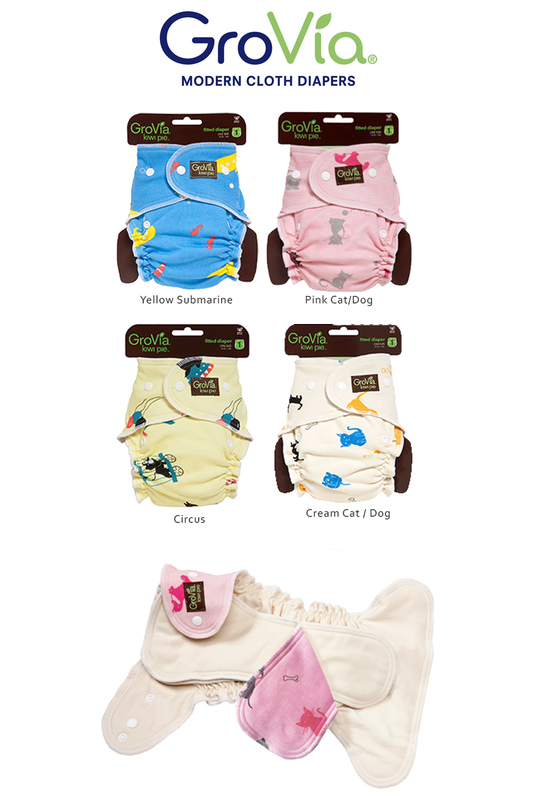 Kiwi Pie is GroVia®'s nod to old school cloth diapering that incorporates modern materials and luxurious style. What makes MicroModal™ so special? Modal comes from Beech trees It is 50% more hygroscopic (water-absorbent) per unit volume than cotton It stays soft wash after wash It is more resistant to mineral deposits from hard water Includes two 4-layer soakers that can be used apart or together, depending on absorbency needs REQUIRES A COVER. Your favorite GroVia Shell or Kiwi Pie Wool Cover will work perfectly! Wash within 2-3 days on warm with detergent. Tumble dry low.DO NOT use bleach or fabric softeners.